Swedish race car driver best known as a multiple-time Deutsche Tourenwagen Masters and Race of Champions winner. He switched to rallycross in 2013, making his debut in the 2014 World Rallycross Championship season. He won the Swedish Touring Car championship in 1999 and debuted in World Rally Championship the same year. 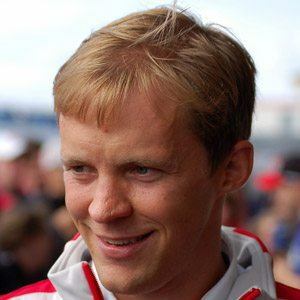 In June 2010, he became the first Scandinavian driver to participate in the NASCAR Sprint Cup Series. His father, Bengt, was a rallycross driver. He defeated Germany's Michael Schumacher at the 2007 Race of Champions.